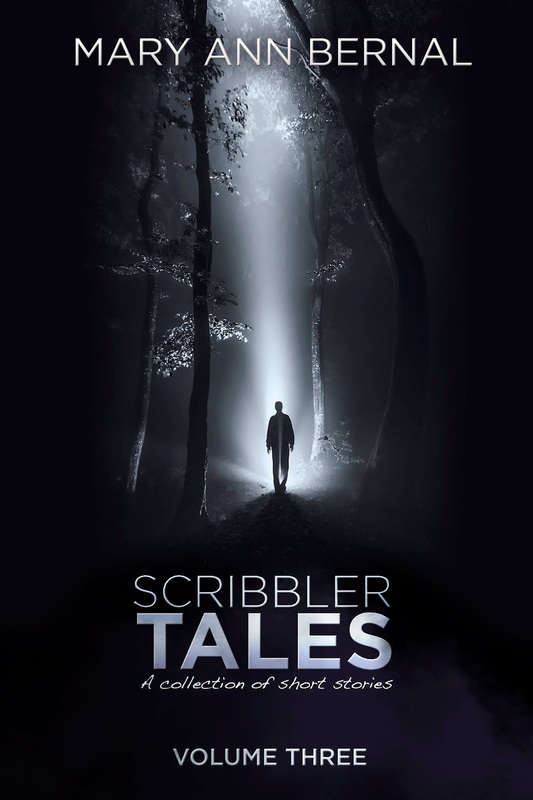 #TallTaleTuesdays – “Scribbler Tales (Volume Three)” Available Now! Congratulations to my good friend (who just happens to be a very talented author) Mary Ann Bernal on publishing and launching her latest book, Scribbler Tales (Volume Three). It’s available in paperback and electronic versions, so there is no reason not to pick up a copy to cozy up with on those cold winter nights. Available now through Amazon. Scribbler Tales is a unique mix of genres in one anthology rich with tension, humanity and genuine emotion. Unconventional settings and unexpected twists are bound to leave you pondering long after you close this book. “In Nightmare,” Melanie’s childhood demons carry over into adulthood when she returns to her ancestral home. “The Night Stalker” is not a figment of Pamela’s imagination as she tries to convince the police that her life is in danger. Check out the Scribble Tales (Volume Three) book trailer. Thank you for checking out #TallTaleTuedsays. Please like, tweet, and share this post across social media using the hashtag and this button, and don’t forget to come back every Tuesday to see what’s next!